Malawi is known as the “warm heart of Africa” because of the friendly nature of the people. It is one of the least developed and most impoverished countries in the world - currently ranked #6 by Global Finance Magazine. In a country of 18 million, an estimated 20% of the population (over 3.6 million people) lacks access to clean water. As with many developing nations in the world, it is women & girls who bear the responsibility of fetching water for the family. Our implementing partner, Formidable Joy, was founded by Cindee Rood. She has personally assessed, spearheaded, and completed almost 40 water projects throughout 10 districts in Malawi - from remote villages to primary & preschools to health centers - impacting over 35,000 people to date. A Community Effort to Heal: Shifaa Foundation is devoted to addressing the immediate needs of the most vulnerable people around the world. By seeking to resolve humanitarian issues worldwide, they try to serve people who live in underprivileged communities around the world with dignity and compassion. Serving those in the Kadzanibwino Village of the Nkhotakota region with access to clean water in 89 households and 445 villagers. A gift from the humble and generous Bouyadjera Family for the kind people of the Ndimbwa Village. 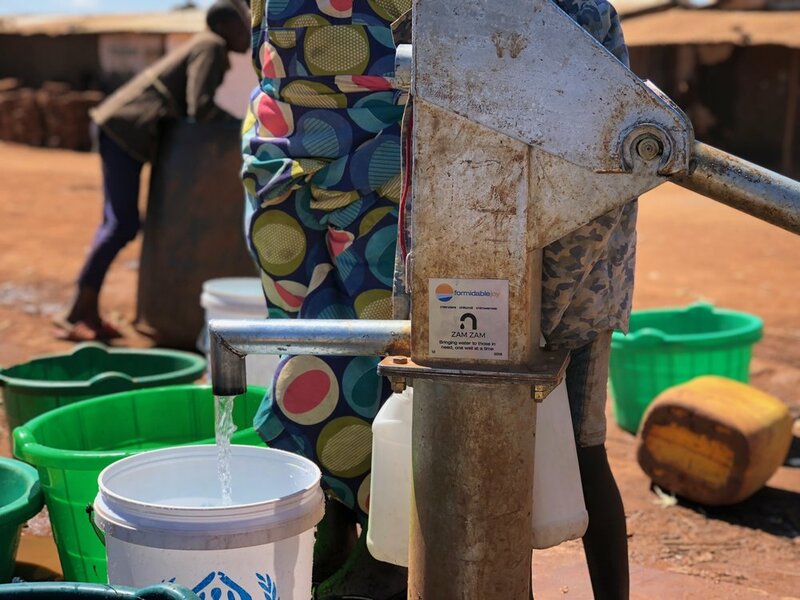 A village that serves 108 households with approximately 540 villagers filled with men, women, and children that were previously in need of water. Location: 13.351854 latitude / 34.273053 longitude. Rania was a young soul who returned to her creator. Her life was a testament to her strength and her contentment with the blessings and trials that she was dealt. In her honor, her family and loved ones came together to support the Katete village, filled with 93 households and approximately 465 villagers. They now have access to clean water for generations to come. While her life came to an abrupt end, her legacy will remain forever. Location: 13.26082 latitude / 34.231429 longitude. Dzaleka is home to 38,000 refugees. located in Dowa, Malawi, the camp was originally built for only 9,000. Over 80% of the refugees come from the Democratic Republic of Congo, followed by Burundi and many more surrounding countries. The camp currently has 32 water wells for a population of 38,000 (an average of 1,187 people per well). The water wells at the camp are so congested that they run 24 hours a day, 7 days a week.